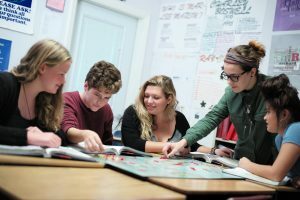 How Does Solstice East Help Teens with Anxiety? At Solstice East, we treat anxiety disorders in a healthy, holistic, and therapy-centered approach. We offer various therapeutic options, nutritious alternatives, physical fitness activities, and other holistic approaches such as journaling. Solstice East emphasizes the impact parents have on a child with an anxiety disorder. We aim to educate parents on how to support a child with anxiety. Parents are encouraged to withhold judgment, and make their support known. We provide many options for parents and adolescents alike in the treatment of teenage anxiety. What are the Causes of Teenage Anxiety? The exact causes of anxiety in teenagers are unknown. However, researchers believe many observed or genetic tendencies lead to anxiety disorders. Most researchers believe that a predisposition towards timidity and nervousness is inborn. If one parent is naturally anxious, there’s a good chance that their child will also have anxious tendencies. At the same time, a parent’s own uneasiness is often communicated to the child, compounding the child’s natural sensitivity. Teenagers holding on to a predisposition for nervousness have a much higher rate of anxiety becoming an unhealthy and unmanageable issue. Teenagers have to deal with many outside factors today that are catalysts for anxiety disorders. School is a large source of anxiety for many teenagers. Between dealing with an intense academic schedule, to participation in extracurricular activities, to maintaining friendships, and finally keeping up with extreme social media, teenagers are likely to develop anxiety from all the pressures they face on a daily basis. 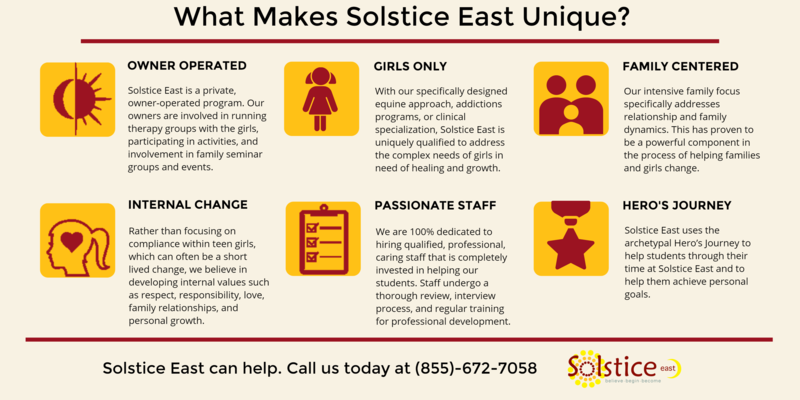 Solstice East, a residential program for teens struggling with anxiety, provides teens and their families with specialized therapeutic approaches to begin the healing process. Our experienced therapeutic staff are passionate about their work with students. 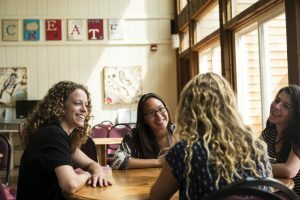 Another aspect of our therapeutic programming that makes us unique from other residential programs that help treat anxiety is our focus on building trusting relationships. Many of the students we help have found that their relationships with family members and peers have deteriorated over the years due to anxiety. A central part of our philosophy is âpeople before programs. We do this by creating a positive community-focused campus and helping students rebuild their relationships with family members. What are treatments for anxiety in teens? Researchers have found that a combined treatment method of therapy and prescribed medication have helped in the care of anxiety in teenagers. Cognitive behavioral therapy combined with sertraline, or pill placebo is an effective method at treating teenage anxiety disorders. Severe anxiety can significantly impair children’s school, social, and family functioning, and if untreated, can increase the risk of depression, alcohol and substance abuse, and occupational difficulties in adulthood. Solstice East focuses on cutting-edge therapeutic and psychiatric approaches in treating anxiety. Building trust and active relationships set the stage for teenagers being treated for anxiety. We focus on family-emphasized therapy, as well as: equine therapy, addiction therapy, group therapy, and academics. Daily journaling, lots of support, and unconditional love are ways that we help teenagers receive treatment from anxiety. What are the signs and symptoms of teen anxiety? As teens progress through their healing journey, families are encouraged to support and complete therapeutic work to help instill lasting changes in the entire family system. In order for the work completed at Solstice East to be successful, the entire family should be on board with making changes. Psychology Today A well-known psychology magazine, Psychology Today has been in print for half a century. The website builds on what made the magazine famous namely, a timely response to issues in the media, fun articles, and a high level of professionalism that makes even highly scientific material easy to grasp for a casual reader.